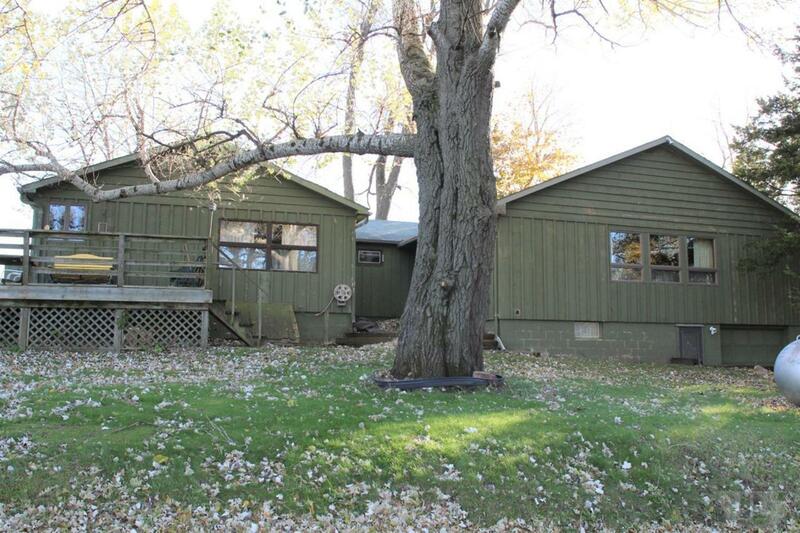 Spacious home surrounded by mature trees and lake view. Large inviting living room with view of lake, built-ins and a woodburning fireplace with hand carved walnut mantle. Large updated kitchen/dining with skylight, soap stone woodburner, spacious eating bar, ample cabinetry & counter space, includes all appliances and has nice views of lake from kitchen and dining area. Master bedroom with great built-ins for storage and a separate closet. Attached 12 x 21 garage on main level, 12 x 20 attached garage in lower level and 16 x 22 detached garage which was built in 1975. 15 x 15 work shop in lower level with exhaust fan & drain, along with additional storage room in lower level. Updates include New LP Gas boiler in 2012, water softener in 2014, new electrical service in 2017, new pressure tank and storm door in 2018. This year around home is also ideal for second home get-a-way with boat launch nearby as well as Ventura Heights park. Additional lot with shed listed separately at $50,000.